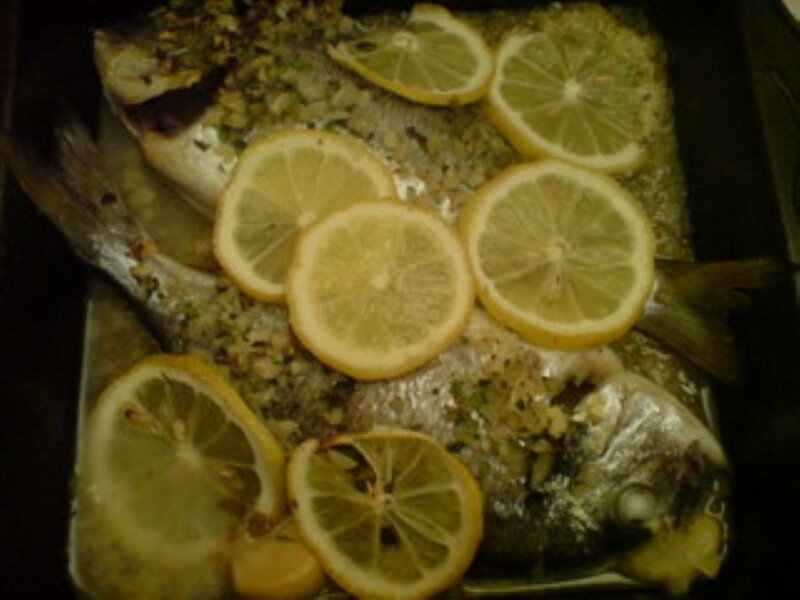 Put a couple of tablespoons of oil, the whole cloves of garlic and the fish into an oven proof dish. Bake for a few minutes at 180°C until the fish starts to colour. Add the wine to the dish. Chop together the onion, parsley and mint and sprinkle on top of the fish. 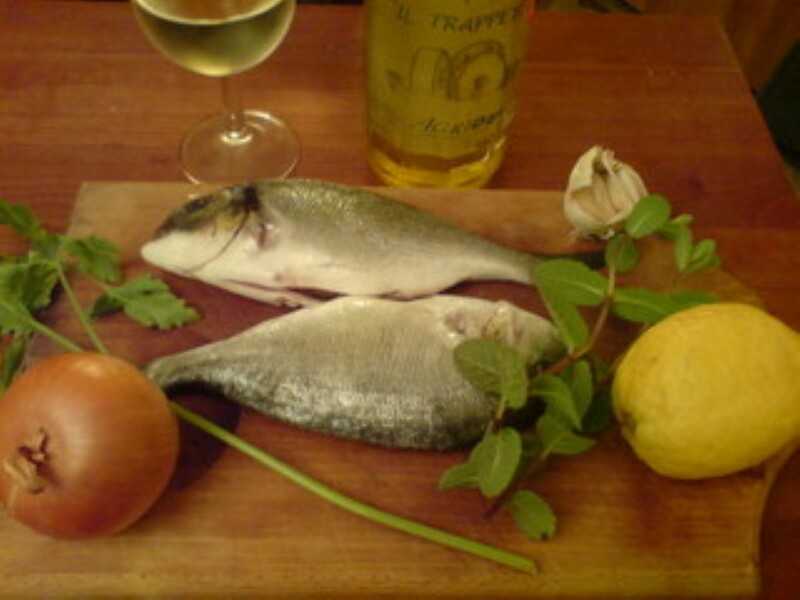 Add the sliced Lemon and season with salt and pepper. Return to the oven until the fish is done. The timing depends on the size of the fish.